Tooth loss has much greater consequences than creating gaps in your smile. Your jawbone relies on each of your teeth to provide stimulation so it can stay strong, dense, and healthy. Without the stimulation needed for healthy bone growth, your jaw structure will begin to rapidly deteriorate. If you let this bone resorption advance too far, your treatment options will become limited. Facial Deterioration — Jawbone resorption affects your physical appearance, causing your skin to develop premature wrinkles and your cheeks to appear hollow or sunken. Teeth Shifting — When you lose a tooth, that area of your jawbone loses stimulation. Without a replacement, your surrounding teeth often shift out of alignment. Misaligned Bite — The combination of diminished jawbone strength and shifting teeth can alter the alignment of your bite, causing you pain and impairing your ability to chew. Since they’re affordable and convenient, many patients suffering from tooth loss choose a removable denture as their restoration. Though dentures will effectively restore your smile, they do nothing to counteract jawbone resorption and protect your oral health. In fact, within just six months of starting to wear dentures, you’ll lose about 40% of your jawbone structure. If you want to maintain a strong, healthy jawbone and preserve your facial appearance, a dental implant is the logical choice. Dental implants are the only restoration that fuses directly with your jawbone in a process called osseointegration. This fusion allows the implant fixture to function like a natural tooth root, providing the stimulation that’s necessary for healthy jawbone growth. If you’re missing all of your teeth in one or both arches, we can provide a brand new smile in just one appointment with Teeth-in-a-Day. This method involves restoring one or both arches with a complete denture that we anchor with four dental implants. 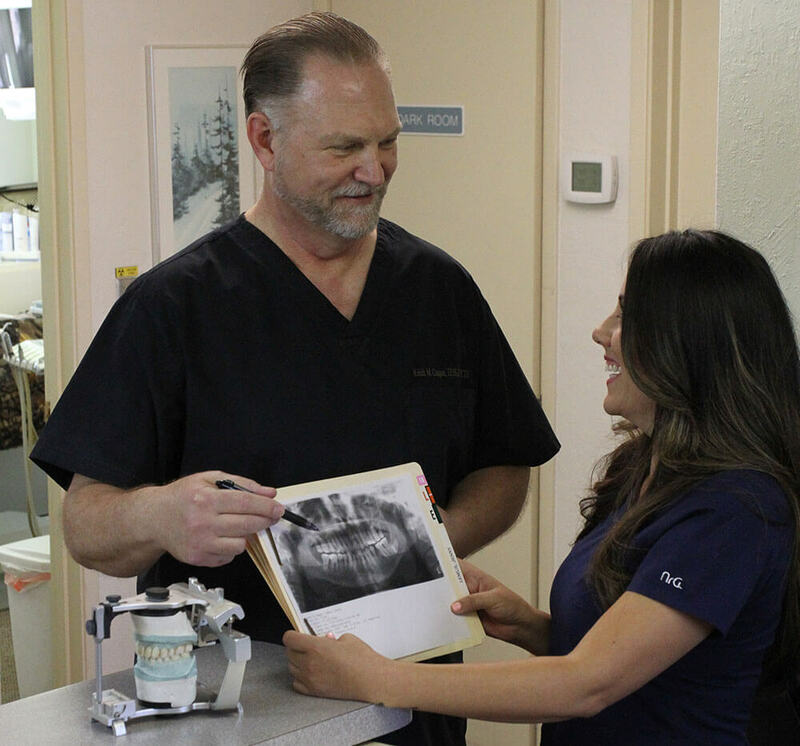 This is a great option if you’ve already begun to lose bone density, because we place the implants in a strategic way to maximize your available bone tissue and eliminate the need for bone grafting. If you want to learn more about jawbone resorption, or if you’re interested in restoring missing teeth with dental implants, contact Contemporary Dental Arts in San Jose and schedule a consultation with Dr. Cooper. During this meeting, he’ll thoroughly examine the state of your oral health and determine a treatment plan that suits your specific needs.